Jean Luc Ponty is one of the most versatile, most progressive and most interesting violinists in today’s music scene – just as he has been for the last 50-plus years. 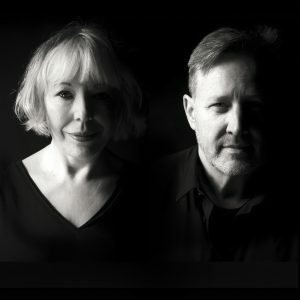 On August 18, Ponty will treat fans with a rare area performance at the Keswick Theater (291 N. Keswick Avenue, Glenside, 215-572-7650, www.keswicktheatre.com). Whether the genre is rock, jazz, fusion or prog rock, Ponty is an accomplished master violinist. Since then, he has released more than 40 solo albums as well as numerous compilations with such artists as Frank Zappa, Mahavishnu Orchestra, Strephane Grappelli, Chick Corea, Al Di Meola and Stanley Clarke. Ponty is bringing his “Atlantic Years” tour to America for 14 shows in the Midwest and Northeast. The title has nothing to do with his many, many crossings of the Atlantic Ocean in the last half-century. “I decided to call it ‘The Atlantic Years’ tour since I am touring with my band from the late 1970’s/early 1980’s – the band I used when I recorded several albums for Atlantic Records,” said Ponty, during a trans-Atlantic phone interview a few weeks ago from his home in Paris. “We are performing some classics from these early albums exclusively. This particular band features a lot of veteran and very talented musicians. Jamie Glaser is best known as the guitarist for Grammy Award-winning musical acts such as Jean Luc Ponty, Chick Corea, Bryan Adams, Gloria Trevi, Manhattan Transfer and more. His guitar can be heard on more than 170 albums as well as on the biggest sitcoms of all time, “Seinfeld” and “Married With Children.” Jamie His compositions can be heard weekly on CBS Sports, Animal Planet, History Channel, Discovery, and ESPN. Bassist Keith Jones has worked with many well-known music artists such as Joe Sample, The Crusaders, Al Jarreau, Jean Luc Ponty, Carlos Santana, Andy Narell, Wayne Shorter, Kenny Loggins, Mark Isham and many more. His distinctive bass lines can be heard on hundreds of recordings. Rayford Griffin, the drummer, has built a reputation as one of the most inventive, volcanic and versatile drummers in music. He has performed and recorded with acts such as Jean Luc Ponty, The Stanley Clarke Band, George Duke, Dave Koz, Anita Baker and Michael Jackson. Keyboardist Wally Minko is a well-respected member of the LA music scene and has toured and recorded with some of the most well-known artists in the world — Toni Braxton, Pink, En Vogue, New Edition, Barry Manilow, Tom Jones, Arturo Sandoval, Gregg Rolie, Eddie Money and the Anderson Ponty Band. “Everyone in this band has played with me for a long time,” said Ponty. “Jamie and I started collaborating together in the early 1970’s. Rayford joined my band in the early 1980’s. Two years later, Wally joined the band. Our original bassist is unable to tour so now we have Keith Jones. “I signed with Atlantic Records in 1975 and I did my first album with them – ‘Upon the Wings of Music’ – in 1975. It was at the same time I was playing with the Mahavishnu Orchestra. “For this project, I focused on the years from 1975-1985. That’s when I became successful. We start with the ‘Imaginary Voyage’ album (1975) and go up to ‘Fables’ (1985). We play a two-hour set and it can be a tough choice what to play. Ponty was born in Avranches, France and moved to Southern California a long time ago. At the time if this interview, he was in France when the country was celebrating its success in the 2018 World Cup. “Most of the country is going wild over the World Cup,” said Ponty. “Music and soccer bring people together. The great thing about music – it’s the best way to unite people from different parts of the world. I’ve played with musicians of many different nationalities and cultures. 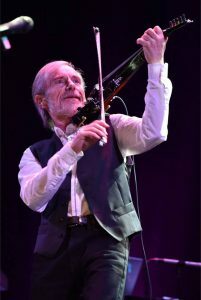 Video link for Jean Luc Ponty — https://youtu.be/XHN5UdKo9mQ. The show at the Keswick Theater will start at 8 p.m. Ticket prices range from $29.50-$65. Ponty’s show will revisit music that was made approximately 40 years ago. Sharon McNight’s show this weekend will also revisit music from the past, including music that was popular more than 80 years ago. McNight will headline a show on August 18 at the Rrazz Room (6426 Lower York Road, New Hope, 888-596-1027,www.TheRrazzRoom.com). “The way the show is set up, I talk about the women, but I don’t say their names,” said McNight, during a recent phone interview from her home in Hollywood, California. McNight pays loving tribute to many of the great ladies of song. The three B’s, who span generations, are Betty Grable, Bette Davis and Bette Midler. McNight also honors Judy Canova. Canova was a singer, comedian, actress, and radio personality, who appeared on Broadway and in films. She hosted her own self-titled network radio program — a popular series that was broadcast from 1943-1955. Mainly, Canova sang, yodeled, and played guitar. McNight began her cabaret career in the gay bars of San Francisco in the late seventies. Her repertoire was an eclectic bag of tricks and impressions and a shoot-from-the-hip style that made the audiences laugh and cry. During the health crisis of the 80s, McNight was in the forefront of fundraising so much so that she was chosen as the Grand Marshall of the 1986 San Francisco Gay Day — the first straight person to have that honor. For the show at the Rrazz Room, McNight will be accompanied by James “Jim Bob” Followell on piano. 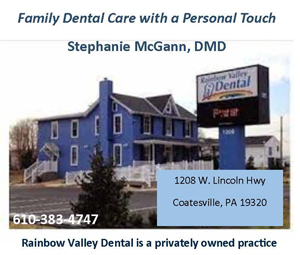 Video link for Sharon McNight — https://youtu.be/h9hGQbmdACo. The show at the Rrazz Room will start at 8 p.m. Tickets are $40. Another act playing the Rrazz Room this weekend will be revisiting music from the past – but the not-so-distant past. The duo recently released the “Float Like a Butterfly: The Songs of Sting” CD on Kristalyn Records. Jungr and McDaniel worked hard on their research and selection of material. They went through all of Sting’s recorded output — work with the band Police work, solo material, soundtracks, collaborations and his recent musical “The Last Ship” — to create a cohesive body of work. Sting, who was born Gordon Matthew Thomas Sumner, has a huge legion of fans who adore his music and an almost-as-large group of detractors who view him and his music as pompous, pretentious and narcissistic. “We didn’t really realize how good a songwriter Sting was until we really delved into his material,” said Jungr, during a recent phone interview from her stop at the Eugene O’Neill Theatre Center in Connecticut. Jungr is known for her extraordinary performances and interpretations of Bob Dylan, Leonard Cohen and Jacques Brel. Her numerous Linn Records releases have received rave reviews on both sides of the Atlantic, Australia and Europe. One description of her said, “It’s as if Edith Piaf and Nick Cave had a love-child, who was adopted by Carmen McRae. McDaniel is a pianist, singer, arranger — and Jungr’s partner in banter. He is also a conductor, a composer and a Tony, Grammy and Emmy Award-winning producer of theatre, albums and television. He has worked on Broadway as a conductor, musical director, and musical/vocal arranger. 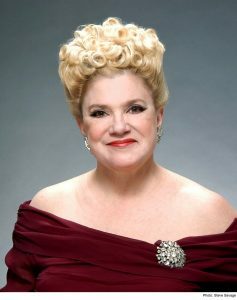 The versatile musician has accompanied stars including Betty Buckley, Tyne Daly, Brooke Shields and Patti LuPone. He also spent seven years in living rooms across America as the Musical Director and bandleader on The Rosie O’Donnell Show. Jungr spoke about the catalyst for the Sting project. “Things come out of the air and you follow it intuitively,” said Jungr, a London resident who is a huge fan of London’s Arsenal Football Club (one of the best soccer teams in England). Jungr said, “We’re stripped to the bone here – voices and piano. It’s like Bill Evans and Tony Bennett. 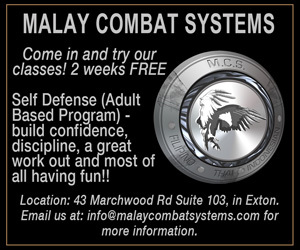 “I started doing this kind of work in the early 1990’s. I did a Jacques Brel tribute in 2000 and then I did Dylan. Video link for Barb Jungr & John McDaniel — https://youtu.be/IQ1gF6muAcQ. The show at the Rrazz Room will start at 8 p.m. Tickets are $30 and $40 for VIP. Another interesting show on August 19 will feature Scott Bradlee’s Postmodern Jukebox at Longwood Gardens (Route 1, Kennett Square, 610-388-1000, www.longwoodgardens.org). Scott Bradlee’s Postmodern Jukebox is a genre-busting, rotating collective of musicians and vocalists that reimagines modern pop hits in the style of jazz, ragtime, and swing classics of the 1920s-1950s. As arranger and producer, Bradlee has assembled a multi-talented group of performers who rework versions of popular modern songs. The music videos of these collaborative covers have become viral sensations with millions of views on YouTube. An act that crosses all musical boundaries and generations, Postmodern Jukebox has developed a niche all its own, and performs a live show unlike any other – a must-see for anyone who loves jaw-dropping live performances. Postmodern Jukebox is now touring in support of “The New Classics,” a 12-track album that was released in November 17 via Concord Records and Postmodern Jukebox Records. 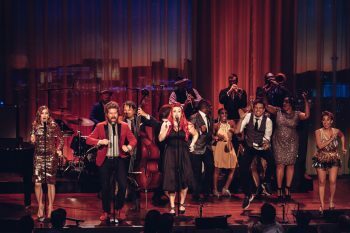 The album is the companion piece to a PBS special taped live at a Postmodern Jukebox (PMJ) show in Las Vegas, which will air nationally in late November and will also be available on DVD initially through PBS. Bradlee is the only constant in a band that has featured more than 100 semi-permanent and guest musicians. 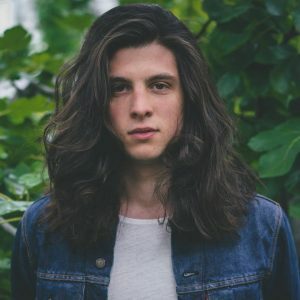 PMJ’s bass player is Adam Kubota. Kubota hails from the San Francisco Bay Area and studied at Connecticut’s Hartt School of Music. He also earned his Doctor of Jurisprudence degree at Brooklyn Law School. “I’ve been with the band since the beginning – 2013,” said Kubota, during a recent phone interview from Los Angeles, his current home. PMJ originally found massive success online, with new videos added weekly that continually find inventive new ways to put Bradlee’s trademark vintage twist on modern pop hits. That “anything can, and will, happen” vibe is fully captured on “The New Classics,” which features lively performances of a wide range of reimagined hits in the party-like atmosphere that has come to characterize the band’s shows. The unique result of pianist/arranger Bradlee’s novel concept has generated over three million subscriptions to PMJ’s YouTube channel since its 2013 inception, not to mention over one million Facebook likes and nearly 850 million views. With over one million views in its first week – and four million in its first year — Robyn Adele Anderson’s cover of Macklemore & Ryan Lewis’ “Thrift Shop” (2012) was Postmodern Jukebox’s first viral music video. This success was followed by her cover of Miley Cyrus’ “We Can’t Stop” in 2013. Postmodern Jukebox is all live. The fact that it is all in-the-moment really attracted fans to the music. According to Bradlee, “‘The New Classics’ was all recorded live in front of an audience in the middle of the tour, so everybody got to know each other really well and feel the energy and camaraderie. 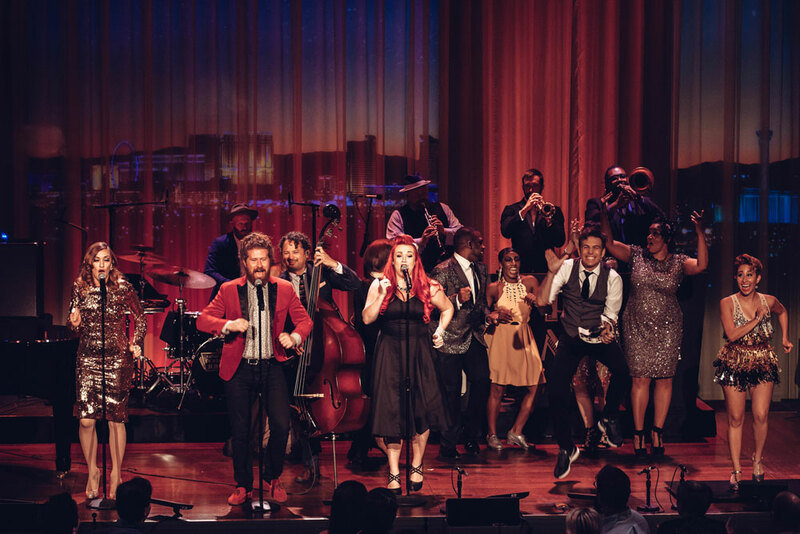 As any of their legion of fans can tell you, the PMJ live experience is never the same twice, with new songs, new sounds, and new members added to the ever-growing family each time around. Video link for Postmodern Jukebox – https://youtu.be/I6zIqn2HznA. The show at Longwood Gardens will start at 7:30 p.m.
Billy Raffoul just released his new track “Acoustic,” on Interscope Records and now is out on tour. On August 19, Raffoul will visit Philly as one of the acts on Need To Breathe’s “Forever On Your Side Tour,” which will take place at Festival Pier at Penn’s Landing (601 North Columbus Boulevard at Spring Garden Street, Philadelphia, 215- 629-3200, www.festivalpierphilly.com). Raffoul was fairly certain of what he wanted to do with his life from a young age. He grew up in a creative family in the small farming town of Leamington, Ontario. His mother is an artist, writer, and teacher and his father Jody Raffoul is a solo artist and hometown hero who has opened for everyone from Joe Cocker to Bon Jovi. “My dad was my biggest inspiration – one of many but still the biggest,” said Raffoul, during a phone interview last week from a tour stop in Dallas, Texas. His dad got the ball rolling when Raffoul was still a young boy. “I got my first guitar when I was 10,” said Raffoul. “I was 14 when I earned to play guitar and 16 when I began taking it seriously. His first real guitar was a 1968 Gibson Les Paul Black Beauty – a guitar model that Jimi Hendrix played at times. Every so often Raffoul would get a gig singing demos for hire. ‘I was in the right place at the right tine – a few times,” said Raffoul. One if those times was at a recording session when he was getting paid hourly to be the vocalist. Raffoul now splits his time between Nashville and Los Angeles where, in between playing shows, he has been collaborating with other songwriters and slowly but surely assembling his debut album. Fans can hear a preview of some of the album tracks at this weekend’s show. “In the live set, we’ll be playing EP songs and some album songs,” said Raffoul. “On the road, it’s me on electric guitar and vocals, Luke Sorenson on bass and Justin Zuccato on drums. It’s a straight rock-and-roll trio. Video link for Billy Raffoul – https://youtu.be/xggfiXWbVG4. The show at Festival Pier, which also features Need To Breathe and Johnnyswim, will start at 7 p.m. Tickets are $35.